Last week I had the chance to go to a Lebanon High School basketball game. As you know this was the school I taught at and that my son, Heath, attends. His middle school basketball team was recognized at half time so I was excited to be there. I was also excited to watch my friend, Albert Hendrix (LHS Head Coach), coach the game. You also know from reading my blog posts that I am a huge fan of Albert and have learned so much from him. It’s hard to hang out with this guy and not learn something, so I was excited to get to visit with him after the game. Click here to view past posts that include wisdom from Albert: Own Your Own Expectations and Learning From SMART Coaches. This particular night Lebanon played Zionsville. this was a little intimidating because former NBA and Indiana Pacer, Rick Smits’ son, Derrick, plays for Zionsville. At 7′ he was intimidating for the smaller Lebanon players. Zionsville also has other tall players making it a daunting task. Needless to say, Zionsville jumped out to an early and big lead. At half time Albert worked his coaching magic, made adjustments and Lebanon got back in the game. After the game I visited with Albert and told him I was impressed with the half time adjustments. He said the big problem was that “they [the team] were scared!” He was speaking of his team and it was obvious they were scared in the beginning. It was such a shame because once they got past their fear, they were back in the game and playing the fast paced, aggressive basketball that Albert coaches. The phrase, “They were scared!” has really stuck with me since that night. I told you I always learn from Albert and this day was no different. Really, when you think about it there has been a rather troubling trend across sports and really all walks of life lately. That trend is the common weak emotion – fear. It seems that people are more shook than ever when it comes to facing adversity. I’m not just talking about physical adversity. I’m talking about all adversity. How many times have we not started a new project, applied for a different job/position, or taken on something really tough just because we were downright afraid of failure. Let’s face it, we are scared! Can you imagine if Michael Jordan had given into fear? I had the chance to hear Michael Jordan speak at an event a while ago and he said, “I’ve missed more than 9,000 shots in my career. I’ve lost almost 300 games. 26 times I’ve been trusted to take the game winning shot and missed. I’ve failed over and over and over again in my life. 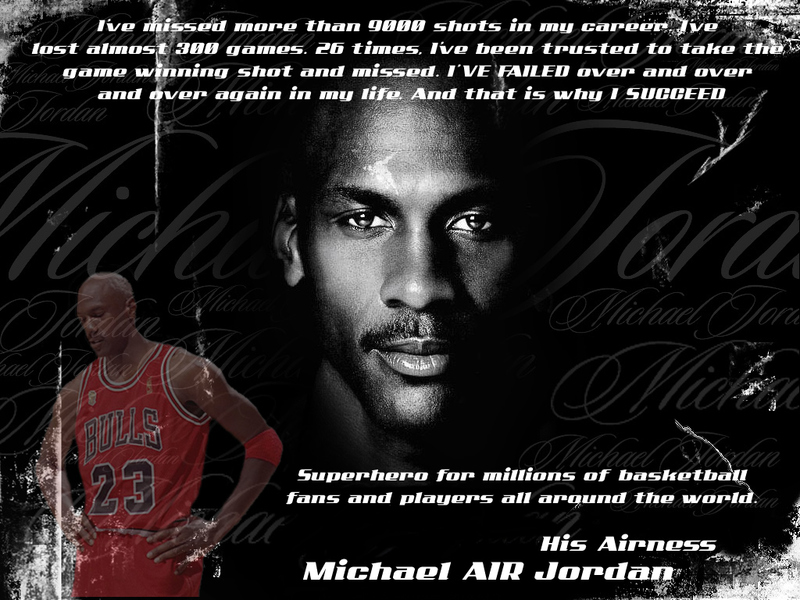 And that is why I succeed.” Again I ask, can you imagine if Michael Jordan had given into fear? Remember, it’s easier to go from failure to success that it is from excuses to success!